* The content of bylined articles is based on the author's own opinions and does not represent the official views of the center. This year JACAR has started to release digitized “Postwar Diplomatic Records” of the Diplomatic Archives of the Ministry of Foreign Affairs of Japan. From 1976 to now, the Ministry of Foreign Affairs of Japan has been independently opening diplomatic records, which have passed 30 years since creation, for the public at the Diplomatic Archives. Since 2016 the Diplomatic Archives of the Ministry of Foreign Affairs of Japan has been providing JACAR with its records related to Asia in Japan’s postwar period. The records were created prior to 1972 when Japan-China relations were normalized. This series includes the following files: The file “Documents relating to Allied Powers’ occupation policy and military administration” consists of items such as meeting records between Foreign Minister Shigemitsu Mamoru and the Supreme Commander for the Allied Powers in Japan Douglas Macarthur and other General Headquarters’ leading figures, proclamations from the Supreme Commander and press releases from GHQ; The file “Documents relating to Local Liaison Committee” includes records of the Local Liaison Committee and Office, which were in charge of Japanese surrender arrangements for each region of Japan; The series also covers the file “Documents relating to suspension and restoration of Japan’s diplomatic functions with the end of Pacific War,” which consists of records on suspension of any diplomatic activities under the Allied powers’ occupation. This series consists of “Documents related to amendment to the Constitution of the Empire of Japan,” which includes records on a constitutional amendment draft (Japanese and English) and on discussion processes for a constitutional amendment in the National Diet. 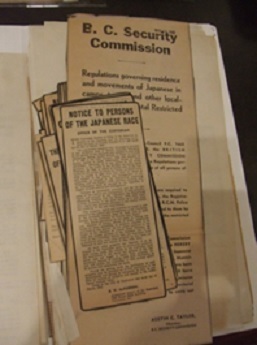 There is also the file “Documents related to the Constitution of Japan,” which includes records of negotiations between the Japanese Government and GHQ, as well as documents related to the Temporary Committee for the Investigation of Legal Systems and documents on formulation of relational laws for constitutional amendment. Upon hearing the word “evacuation,” one might think of shuffling schoolchildren to safety. But the term does not refer only to people. Documents have also been evacuated in dangerous times. Thanks to the hard work of many individuals, many Japanese government documents from before the Second World War are still around for us to examine today. Using the Ministry of Foreign Affairs as a case study, let’s explore how government documents were evacuated and preserved during wartime. In March 1944, Japan’s Ministry of Foreign Affairs decided to move original copies of treaties that were held in the archives of its Documents Division into a safe place. The underground vault at the Bank of Japan’s headquarters was chosen as the location to house them. 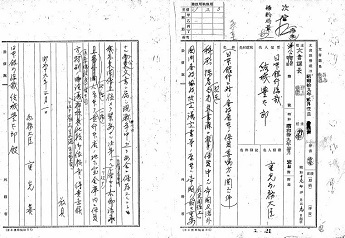 Image 1 shows the draft of Foreign Minister Mamoru Shigemitsu’s official transmission about the plan (kōshin) (*Note 1) to the Bank of Japan’s president Toyotarō Yūki. The transmission requested that the documents be accepted. Shigemitsu noted how vital official documents related to treaties with other countries were for the Ministry of Foreign Affairs and how it is very important that they be protected from the war: “They are some of the most important official documents for the Empire’s foreign relations, and it is of utmost importance that they be safely stored during this war.” This transmission was sent on March 1, 1944. Subsequently, the Ministry of Foreign Affairs entrusted original copies of the treaties to the Bank of Japan. [Image 1] Title : 4. Jōyaku Genpon tō sokai kankei(Nippon ginko e ishoku)[Evacuation of original copies of Treaties, etc. (Entrusting to the Bank of Japan) ], (6th image) ,Reference Code B12080780200. "A Century of History between Japan and the Marshall Islands"
It was sometime in the middle of year 2014 and, at that time, I was working at Japanese Embassy in the Republic of the Marshall Islands. An idea struck me to write a fictional story which will introduce the century-long history between Japan and the Marshall Islands. 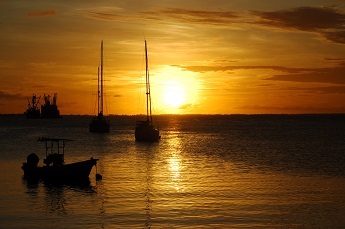 In my writing, I wished to introduce not only the beautiful vistas of this small insular country but also some historical aspects such as Japan’s special relationship with the small groups of islands scattered in the Micronesian Region of the Northern Pacific Ocean. This relationship had started when World War I (WW I) broke out in July 1914. As one of allied countries, Japan was asked to send its military force to the German islands in the Northern Pacific including the Marshall Islands and disarm them. Then the legacy of some twenty thousand Japanese soldiers who were mobilized and dispatched to almost all atolls of the Marshall Islands during World War II (WW II) but eventually they were forced to perish well before the end of war in August 1945. I also wished to introduce the partial history of “the Cold War” between U.S. and the Soviet Union took place in the Marshall Islands, where the US had conducted atomic and hydrogen-bomb experiments, in total sixty-seven times, from 1946 until 1958. By introducing those aspects, I wished that fellow Japanese might grow their interest to the Marshall Islands and some would even wish to visit the country. Held a booth exhibition at the annual conference of AAS in Toronto. Had discussions about researching archival documents with staff of the Thomas Fisher Rare Books Library, University of Toronto. Held discussions on researching archival records with staff of Directorate of History and Heritage, Canada. Had discussions about researching archival documents with archivists of the Library and Archives Canada. Held a booth exhibition at AAS-in-Asia in Seoul. Had a discussion about researching archival documents with staff of the National Library of Korea. Had a discussion on researching archival documents with staff of the National Institute of Korean History. Had a discussion about researching archival documents with archivists of National Archives of Korea. PR Activity at the International Convention of Asian Scholars in Chiang Mai. Had a discussion about researching archival documents with archivists of National Archives of Thailand and Thammasat University Archives. Held presentation at Database Training Courses of GACoS (Gateway to Academic Contents System), The University of Tokyo. Held demonstration in Chuo-Shigaku at Chuo University. 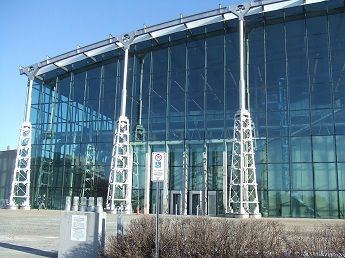 Library and Archives Canada (LAC) is an organization that formed through the integration of the National Archives of Canada and the National Library of Canada in 2004. LAC has about two million books as well as government and private documents, whose volumes cover 241 kilometers of shelf space. There are also 4.5 terabytes of digital data and LAC stores photographs, images, voice records, musical recordings, and drawings for records of Canadian history. The documents LAC holds mainly consist of official documents transferred from ministries, private documents from individuals, private companies, influential private organizations, and politicians. LAC receives legal files and documents that offer precedents on policy decisions from the ministries. LAC uses set criteria to determine which documents to acquire, as they ought to contain important information. On transfer, LAC negotiates with ministries and receives private documents essentially without compensation. However, LAC does purchase documents when necessary with a budget for ad hoc requests. Moreover, tax benefits do come with providing private documents to LAC. LAC holds some materials related to Japan from Meiji Era(1868) to the post Second Wold War. During our visit, LAC colleagues showcased items from this collections which included documents related to the Canadian government commending a Japanese-Canadian woman, a photograph of Japan’s nearly century old Canadian embassy, and an expression of thanks from the captain of Battleship Asama for its repair when guarding a British battleship sailing in British Columbia. These documents are preserved behind glass and LAC’s preservation facility entitled the Gatineau Preservation Centre(GPC) is regularly monitored in terms of temperature, humidity, and cleanliness. LAC releases documents by request for disclosure with criteria enacted in 1983 by the Access to Information Act and the Privacy Act. LAC has had to reexamine laws due to digitization, and is building new guidelines for declassification by document type. Digitization was carried out gradually from its start in first decade of the 2000s and picked up towards 2009 with an increase in digitizing microfilms of governmental records. In 2016, LAC began digitizing files related to soldiers in World War One and their records once digitized, are uploaded to LAC’s website. The entire project will be completed in 2018. The kinds of materials with a high demand for digitization include genealogical charts, maps, documents on military history, and documents on Indigenous peoples. The main users of the digitized materials are government officials, students, researchers of government policies, lawyers, and the Canadian general public. LAC conducts exchanges of expertise and sharing of information on obtaining, retaining and accessing documents within domestic archives. Moreover, LAC engages in international collaboration activities through international networks and partners such as the International Council on Archives, and the International Federation of Library. 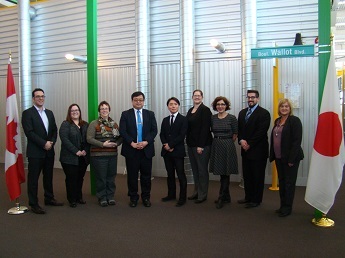 LAC’s international engagement activities are guided by their International Relations Strategy 2016-2019 which supports its corporate strategic priorities, the broader foreign policy objectives of the Government of Canada, and to demonstrate leadership within the library and archival communities in Canada. As for outreach, LAC uses Facebook and other social media platforms, and holds exhibitions during conferences in which they participate. 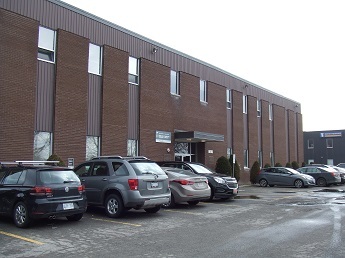 They also lend materials for exhibitions when requested by organizations in Canada and abroad and they run an open house for the public to visit their facilities. The Directorate of History and Heritage (DHH) of the Department of National Defence (DND) was founded in 1996 following the amalgamation of the Directorate of History and the Directorate of Military Traditions. The origins of DHH, however, go all the way back to the First World War. DHH maintains an Archives and Library to support the research and writing of official histories. The Archives collects material on the history of the Canadian Armed Forces (CAF), particularly in regards to the Cold War and peacekeeping missions. Such material includes those records that are not part of DND’s records management systems and those that are transferred to Library and Archives Canada (LAC). These records are significant because they document the various phases of military operations and missions, as well as the development of government policy. 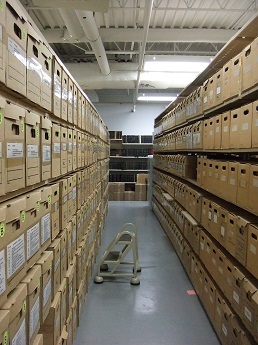 The only official records the Archives receives are the Annual Historical Reports (AHRs). The reports are received from active CAF units each year. They provide an historical summary of the unit's activities for the calendar year ending December. There are some records on Asia and Japan in the Archives. They pertain mostly to the Second World War and covers such topics as the invasion of Hong Kong by Japan and Japanese internment camps. The Archives is open to the public two days a week. The staff answers inquiries on a wide variety of subjects on the history of the CAF and some declassification of classified material is done. The Archives has started a digitization program. Documents that have been digitized include the AHRs, the Robert Lewis Raymont fonds on the Cold War, and Canadian Army general orders. Some rare books that have been damaged have also been digitized. All the documents will eventually be made available to the public on the DHH website. DHH has also made available to the public on its website an Operations Database. The database is a record of all Canadian Forces operations in Canada and overseas since 1945. Each operation has been catalogued into seven colour coded geographical regions. Over 400 international operations have been identified but the historical research required for each has not yet been completed.The website is a work in progress. 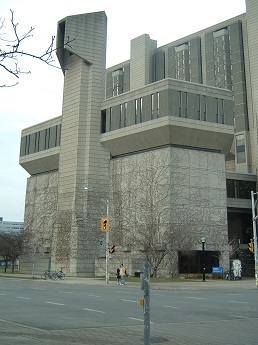 University of Toronto Thomas Fisher Rare Books Library is a special library associated with the John P. Robarts Research Library, which plays a central role among the 44 libraries of the university. The collection at Thomas Fisher Rare Books Library is made up of about 740,000 volumes, including many kinds of rare books that are open to the public in special collections. The books focus on Canadian literature, English literature, Jewish matters, and the history of science and medicine. Thomas Fisher Rare Books Library contains rare books including 164 Japanese materials, 114 Chinese materials, and 29 Korean materials. Many of the works are translations of works by Canadians. 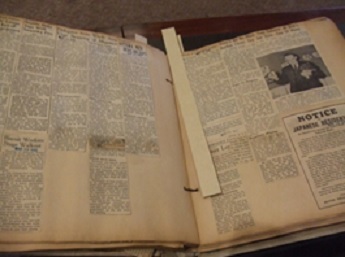 The collection of Japan-related materials features the Mark Gayn Papers, which includes the writing of journalist Mark Gayn, who lived in Japan during the Allied occupation. For more information, the Guide to the Mark Gayn Papers was published by the library in 1988 and it is available now on the Internet (http://www.library.utoronto.ca/fisher/collections/findaids/gayn.pdf). There is also a Japan-Canada relations collection. For example, there are materials from after the Second World War on compensation from Japanese-American internments and materials compiled by the Vancouver head of the Custodian of Enemy Property Office into the FG Shears Collection. The collection of such materials has been increasingly promoted by the University of Toronto Library, and many items are acquired through networks of faculty members as well as those in the Japanese-Canadian community. Donations are accepted to the university library in cases where items are deemed appropriate. The potential donor and library staff will consult each other about the materials. In Canada donations are considered grounds for tax deductions. Regarding usage of items, in the case of donated materials, restrictions may be imposed for a certain period depending on the intention of the donor. Moreover, sensitive materials such as items pertaining to medical details are also restricted. The items are primarily used by students and researchers of printmaking and publishing history as well as those inquiring into family history or writing biographies. The materials that are being digitized primarily are those requested by users as well as famous items or those that require long-term preservation. Currently the library is carrying out a ten year plan which starts digitizing materials from prior to 1923. The materials digitized are, in principle, without copyright, although there are cases in which copyrighted materials are used without violation. 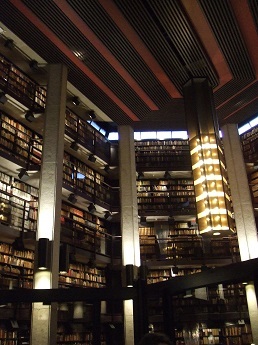 The University of Toronto Library has become a member of the Canadian Linked Data Initiative, a consortium of the top five libraries along with the Bibliothèque et Archives nationales du Québec and the Library and Archives Canada. Currently the Canadian Linked Data Initiative is working with similar organizations in the United States and Europe to share technologies and services for creating metadata in English and in French. This year marks the 150th anniversary of diplomatic relations between Japan and Denmark, which started with the signing of the “Treaty of Friendship, Commerce and Navigation” between two countries. This exhibition explores the history of friendship between the countries for a span of 150 years, by presenting roughly 80 items from the National Archives of Japan, the Danish National Archives, the National Museum of Denmark, the Diplomatic Archives of the Ministry of Foreign Affairs of Japan, and other places. This year marks the 130th anniversary of diplomatic relations between Japan and Thailand. The bilateral relationship began on September 26, 1887, after the signing of the “Declaration of Amity and Commerce between Japan and Siam.” The special exhibition explores history of exchange between the countries from its establishment, displaying key diplomatic materials such as treaties, letters and photographs. Thank you for reading the JACAR Newsletter No.23, and we hope you enjoyed it. In this issue, we presented many reports in "Outreach Activities" and "Information on Related Document Holdings". We would deeply appreciate any comments or feedback on our newsletter for forthcoming issues. Please send your opinions or ideas from * THIS FORM *.